Damon Owens has made quite a name for himself over the past two decades as a speaker, writer and radio and television commentator teaching and explaining the Catholic position on such topics as sexuality, chastity, Theology of the Body (TOB) and Natural Family Planning (NFP). Although he has been executive director of the Theology of the Body Institute in Downingtown for the past two years, for most of the previous years his special focus was on NFP. If your idea of Natural Family Planning is birth control for Catholics who don’t want kids but want to stay in good graces with the Church, think again. Owens and his wife Melanie are the happy parents of eight, and wouldn’t have it any other way. He and Melanie thought about it for a bit and prayed over it, and ultimately he decided he would devote full time to what they had been doing part time — speaking and working in the area of marriage and the family. 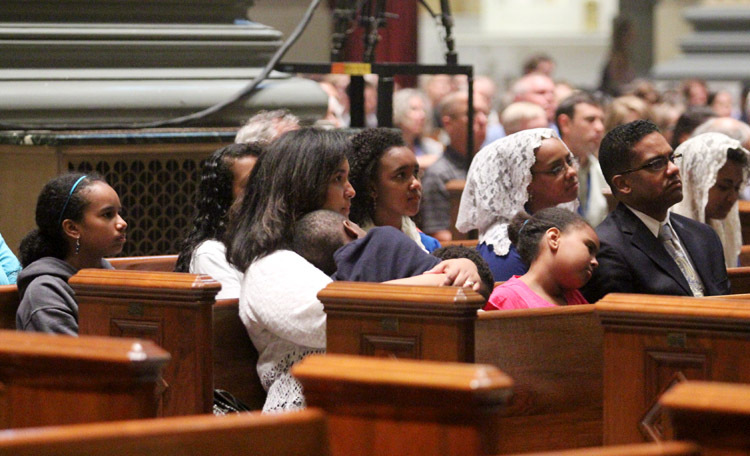 That is something he and Melanie had been doing since 1993, and as a matter of fact they were the NFP coordinators for the Archdiocese of Newark. After he was free from the responsibilities of the business world he and Melanie founded two related nonprofits — New Jersey Natural Family Planning and Joy-Filled Marriage, New Jersey. As very young adults neither Damon nor Melanie would have dreamed their life would take this turn. She was raised in California; he in New Jersey, where he was an Eagle Scout in his youth. Both were products of strong Catholic families of similar backgrounds but both drifted away from practice of the faith during their college years. They were especially drawn to NFP by studying Pope Paul VI’s “Humanae Vitae” and introduced to Theology of the Body through a tape by Christopher West. Meanwhile, their own family was already forming. First born was Naomi, who is now 18. She was followed by Leah, Rachel, Therese, Collette and Veronica. After the birth of their six beautiful girls there were two miscarriages, which left Damon and Melanie devastated. They ultimately turned to adoption. In 2009 they adopted Olivia, who was born in Texas, and the following year they adopted Nathan, who was born in New Jersey. “God willing, we can do it again,” Owens said. 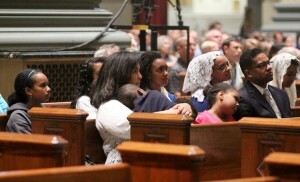 All eight of the children were at the Theology of the Body Congress in Philadelphia last week, with the older girls volunteering at the registration desk in support of their dad, which is fitting because if anything, Theology of the Body is about the whole family, not just husband and wife. 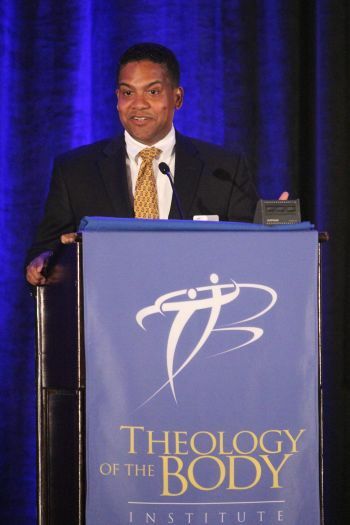 When the position of executive director at the Theology of the Body Institute opened up it was a natural fit for Owens, both because of his work on the speakers’ circuit and the expertise he garnered during his years in the business world.